How to hide Battery Percentage on Samsung Galaxy S8 or S8 Plus. Well most you must be wondering why this article is so important that we are telling you about it in detail, well for some of us it is not the thing to be worried about but for some it is really very useful information like Hiding Battery Percentage on Galaxy S8 or S8 Plus Which is set as the basic feature for the device. 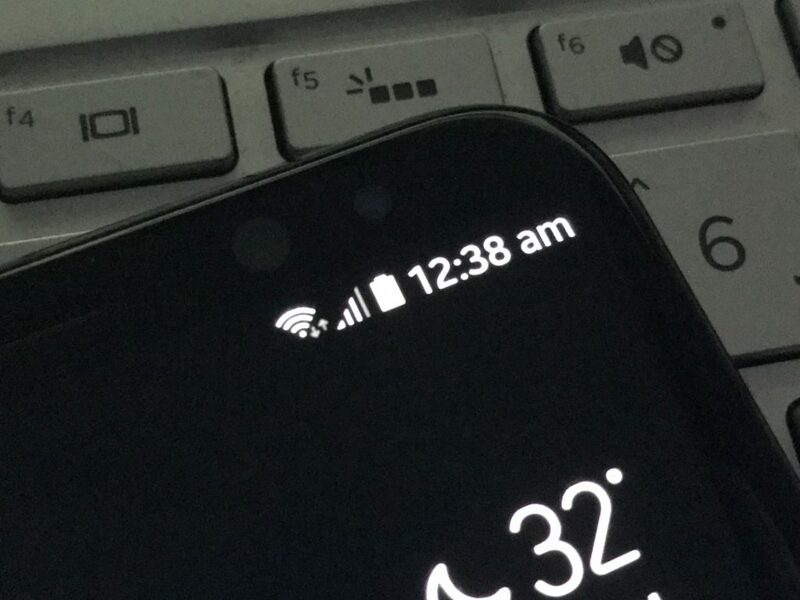 Before talking about the importance of the article I have decided to tell you a bit about the battery percentage, it is in the numeric form on the top right is the battery icon and with it a small numeric number from 0 to 100 that shows you the percentage of battery left. Now talking about the importance of hiding the battery percentage On Samsung Galaxy S8 or S8 Plus, actually on the front screen only a small numeric number disappears but behind the screen you get a plenty of space in the notification bar which is useful for seeing what you need to see or what is more important than battery percentage for example when you have turn the alarm on, NFC and Bluetooth. These things will occupy the half of the notification bar and the other half will be occupied by the battery percentage indicator as it is a huge graph that shows the battery left and hours of usage and all that detail, so if you need to turn this off and get the space for other things to open in the notification bar you have to go to the battery section in the settings. 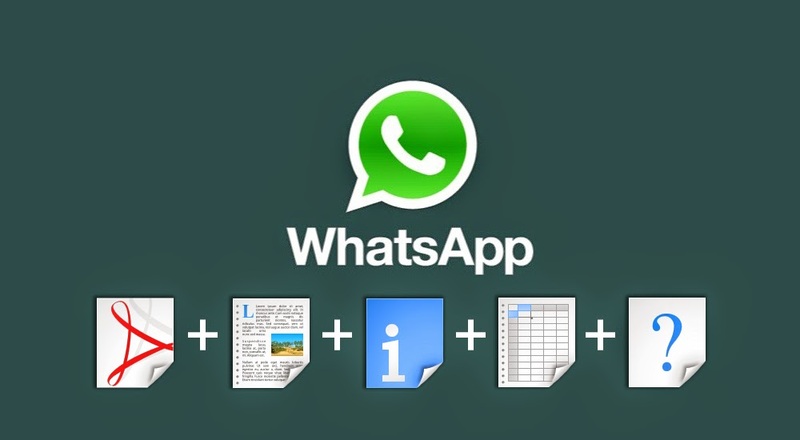 For some mobiles this option is hidden in the overflow menu. You will click on that menu and it will show the battery information, on the top right there is a box showing message “show battery percentage as soon as you tap on that you can hide or show the percentage of battery on the home page. 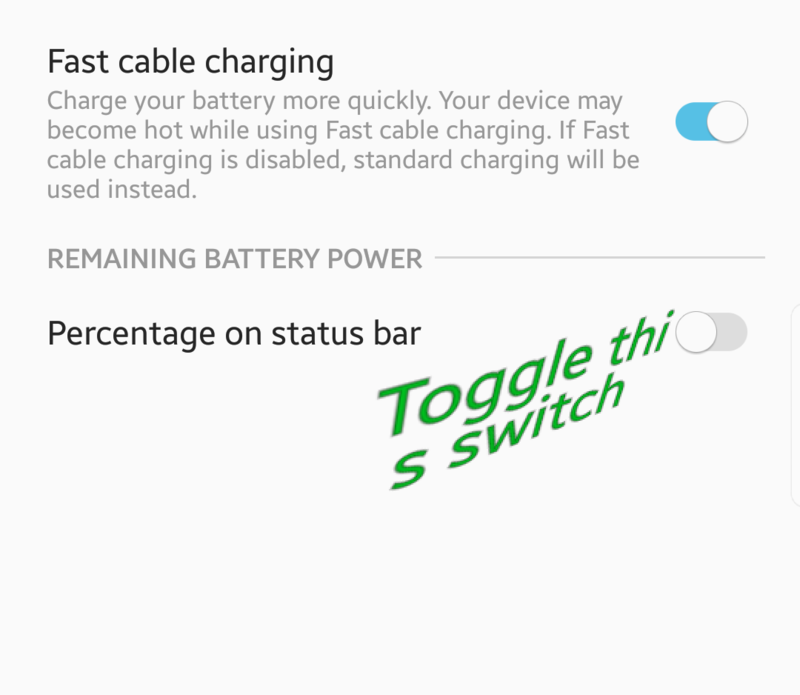 Now talking about the power saver mode in this mode you can’t do this that means the battery percentage indicator on Galaxy S8 is turned on by default and you can not change it to off because in power saver mode, the system takes away some of the authorities from the user so as soon as the power saver mode is turned on the battery indicator turn on automatically, however when you turn this mode off and return to normal this option is again available to show or to hide the battery. You can do whatever suits you. There is also another reason which you might have noticed once you are continuously seeing the battery left percentage on Galaxy S8 or S8 Plus and you are out and don’t have charger it seems that the battery is running out very fast actually this is the psychological effect. No doubt in real it runs as slow as it runs when battery percentage is off, so you can always go with your convenience. Download Huawei Honor 9 stock Wallpapers. 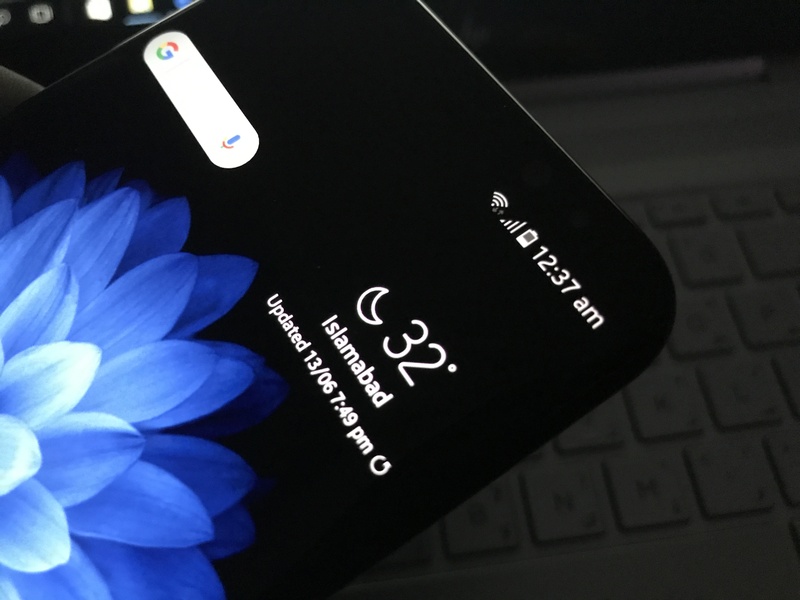 Hide Battery Percentage in Samsung Galaxy S9 and S9 Plus.